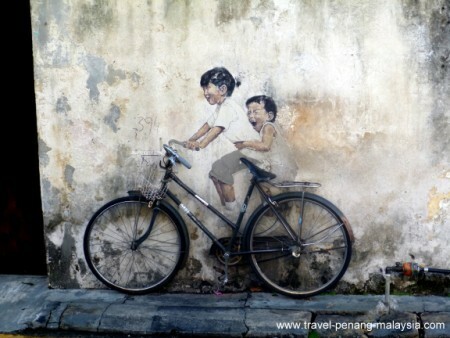 Some people would list Penang's beaches as the best of Penang attractions. However, you should drag yourself away for a while and get active, as there are many tourist attractions to keep you busy. 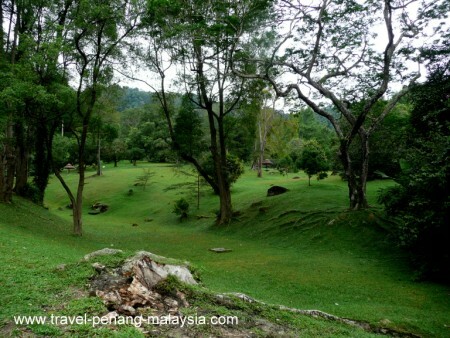 Below you will find all the best things to do in Penang. 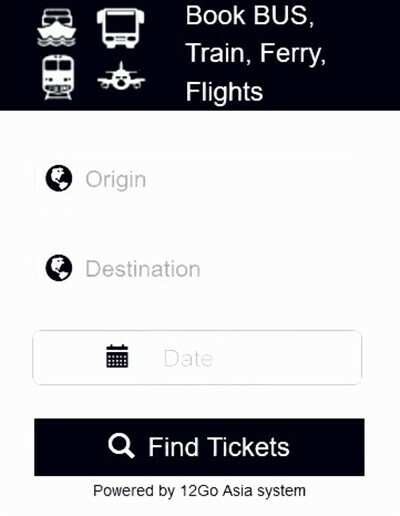 Just click on the links or the pictures below, to find out more information. Grab yourself one of the many free Georgetown maps and get ready to follow Georgetown's Heritage Trail. Fast becoming a major attraction of the city, these street art paintings are located around the old area on the city. 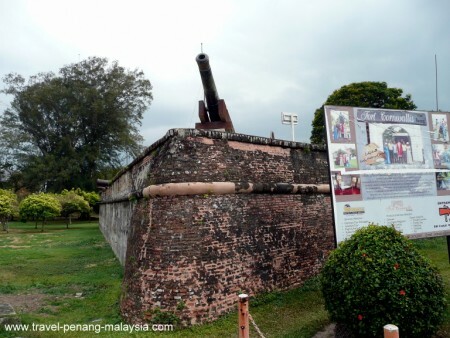 Fort Cornwallis is located next to the esplanade in Georgetown looking out over the sea and is worth the small entrance fee to visit. 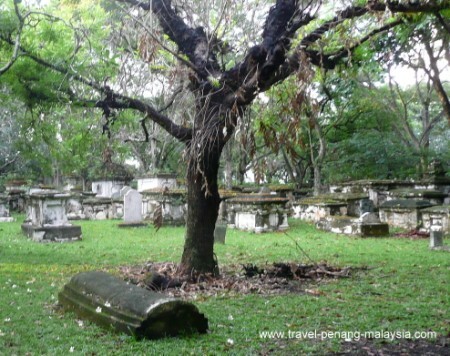 The old colonial cemetery in Georgetown where you will find the graves of the early European settlers of Penang island. 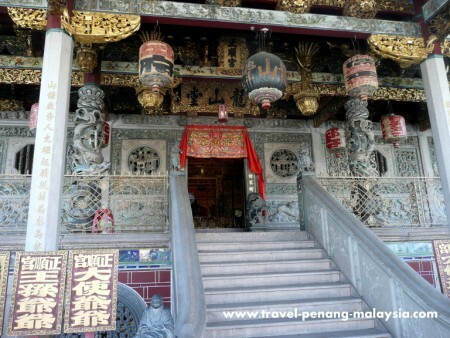 The most beautiful and ornate of all George Towns Chinese clan house temples. Georgetown has dozens of places of worship in the old part of town, with Christian churches, Muslim Mosques and Chinese and Indian Temples, all within a short walk of each other. A beautifully restored mansion in the old part of Georgetown with a large collection of period antiques on display. 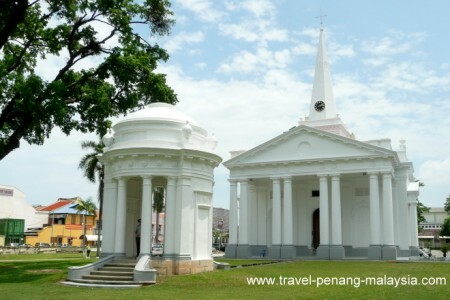 A good place to visit to get an insight into the history and varied peoples of Penang. 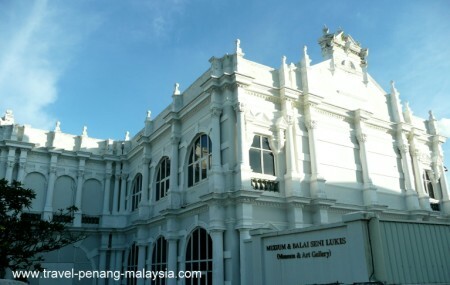 The museum is also a good example of the many British colonial buildings in Georgetown. 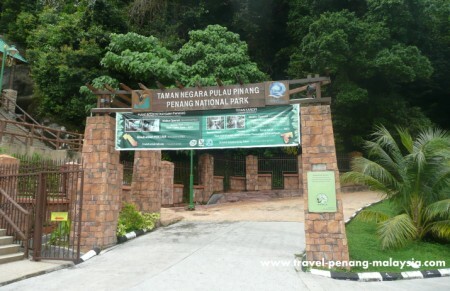 A great place to go trekking in the jungle with many kilometres of walks to do and some of the best beaches in Penang. 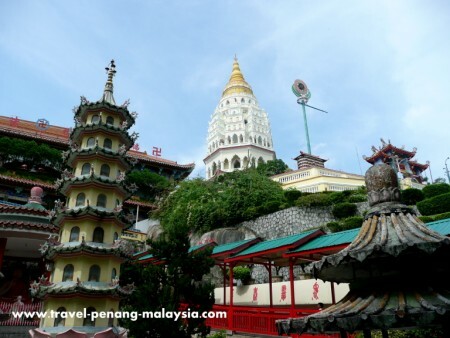 Penang's biggest temple complex set in the foothills of the centre of the island. A good place to relax and take a walk in beautiful surroundings with plenty of plants, trees and the few odd wildlife encounters. 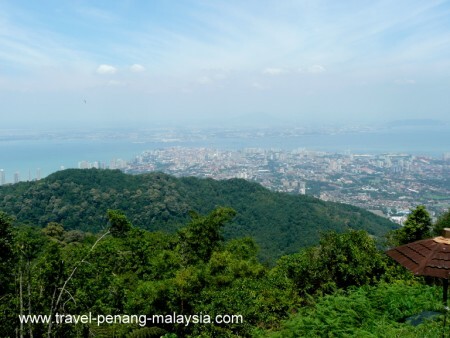 A visit up to the top of Penang Hill is a nice way to spend a few hours if you travel by the Penang Hill Train or a whole day if you are fit enough for Walking Up Penang Hill. 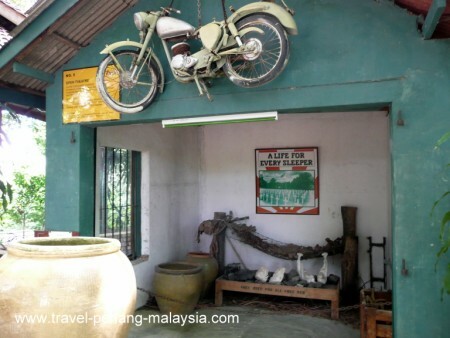 The former WWII British fort on the SE tip of Penang Island now turned into an interesting museum about the war and Japanese invasion of Penang. 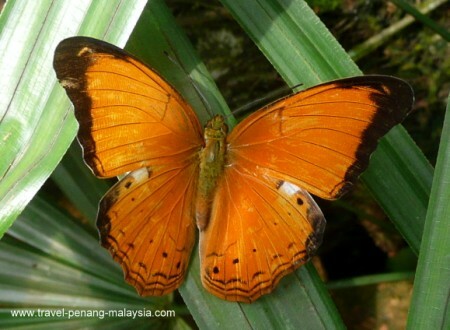 A great way to spend a few hours with the kids, the Butterfly farm is located in Teluk Bahang and is easily reached by bus 101. To learn more, go directly to their website by clicking here. 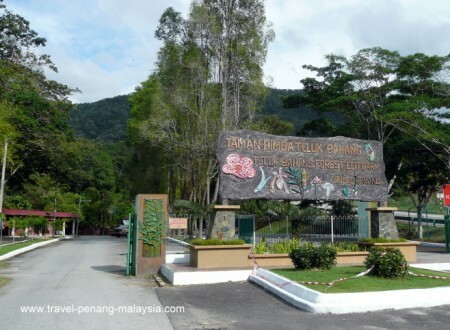 Located just a few hundred metres down the road from the Butterfly Farm, this forest Eco park is a great place to go for walks in the jungle, from short one hour walks to a 10 kilometres trek up to the top of Penang Hill.